VaultPress is the easiest way to get a copy of your database. It is something that we all personally use because of the safety net it provides in general, and we highly recommend it to anyone running a WordPress website. 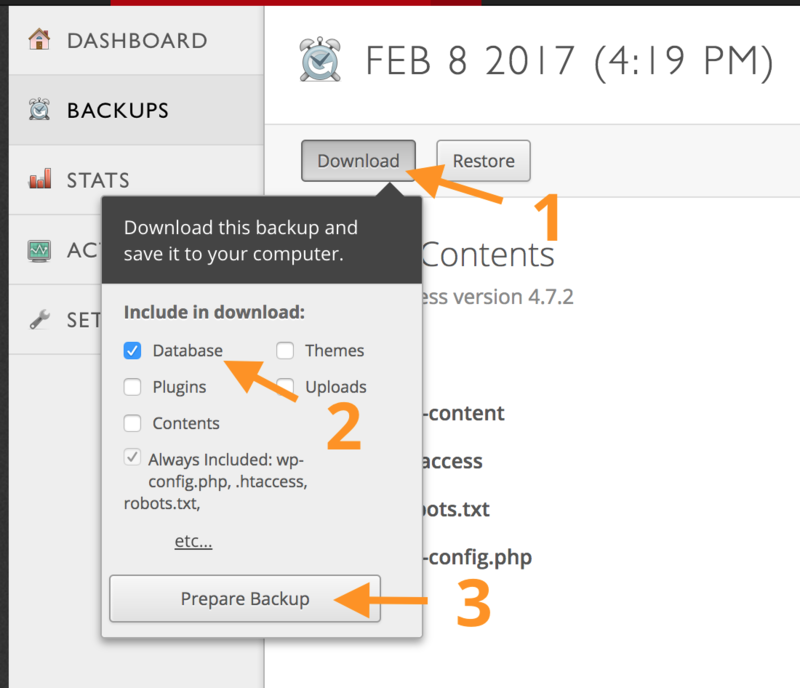 From VaultPress, go to your most recent backups and select "View Backup"
On the next screen, click Download, then select Database only (uncheck all the others) and select Prepare Backup. It might take a few minutes, and then the button will turn blue and you'll be able to download the backup. The database download should only be about 30mb. If it is much larger then you are likely including "uploads," which contains all of your site's images and can easily be gigabytes in size.